To celebrate 60 years in business, the strength sports giant Eleiko is making some changes. The first of these changes was the new logo they released last week, but as 2017 progresses, Eleiko plans to unveil new equipment, explore new sports, and make the biggest changes to their weightlifting bar since it was first introduced to the market in 1957. This week, BarBend spoke with Erik Blomberg, the CEO of Eleiko, from his office in Halmstad, Sweden to learn more. The interview below has been edited for space and clarity. Erik Blomberg, CEO of Eleiko. BarBend: First off, we loved your recent April Fools prank with the square plates. How did that come about? Erik Blomberg: (laughs) Yeah, that’s a good question. It was just a funny thing we thought of and decided to put out there. It was a very simple idea — why not make the round discs square? — and my gosh, it threw a lot of people out of wack. A lot of people took it seriously, engineers wrote to us and said, “Oh, this makes a lot of sense, but how do you make them land horizontal?” So there were a lot of funny conversations. Image via Eleiko on Facebook. Last week when you announced Eleiko’s rebranding, you said the it would roll out over 2017 — what can we look forward to? 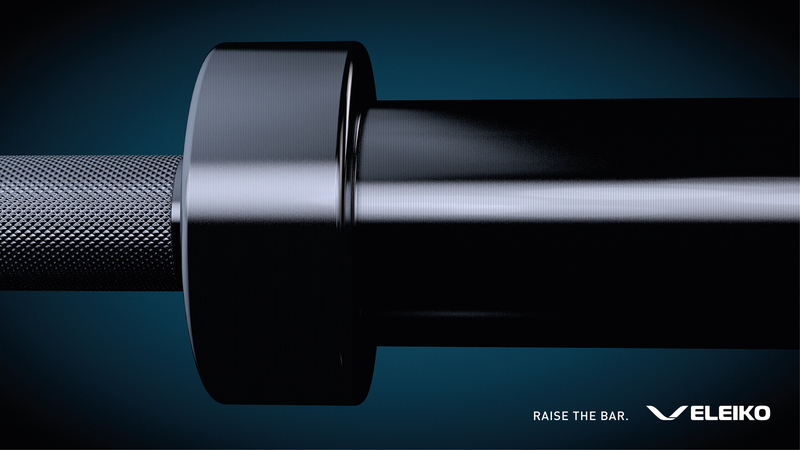 We’re celebrating sixty years as a barbell manufacturing company this year, so we’re kind of taking this opportunity to look back at what we’ve achieved, what we care about, and what we stand for. So we’re using the anniversary to build a platform for the next stage of growth, which will be a lot about product development and introducing new products to the weightlifting and powerlifting communities. We’re trying to really strengthen and build on the legacy we have in weightlifting and powerlifting, but also expand to new areas. We are very focused on the professional weightlifting and powerlifting markets and those are communities we care deeply about, but we see opportunities to grow in the fitness market — functional fitness, CrossFit, but also the more general gym fitness market as well. We’re building the growth strategy around that. We really love lifting in general and we see the superior benefits that that type of training gives people, and we want to really use our platform to promote and inspire and drive more people to that type of training through offering solutions and products that suit those markets. So you want to expand more into the regular, everyday gym-goer market. And you’re coming up with new equipment? I think we’ll have great success with dumbbells, with benches, with racks. And we’ll also introduce a new type of resistance training line. I can’t say much more about it right now. So what can you tell us about your new equipment? The really interesting thing that we’re doing now is releasing the new generation of Eleiko bars. 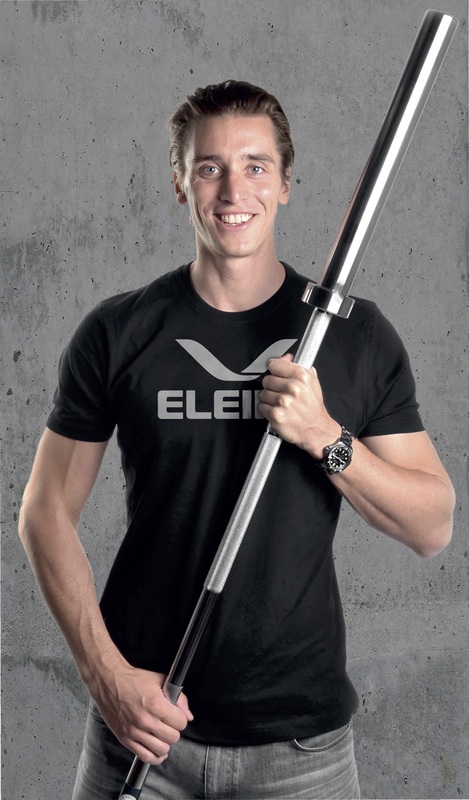 Our bars are used at all the international competitions, the Olympic games, more than a thousand world records have been broken with the Eleiko bar, and we’re all very proud of that. But we’ve also taken that as a challenge as well. A few years ago, we decided to look at this product, our core product, and really ask, is this the best bar in the world? So we’ve done a project that’s really been about reviewing the product, the production of the steel, throughout the whole process to the final assembly. And we’ve built some new testing machines to really stress manufacturing a truly excellent bar. The conclusion is that we have a fantastic product, but there are a couple of improvements we’ve been able to identify. And now we’re launching the next generation of Eleiko bars. 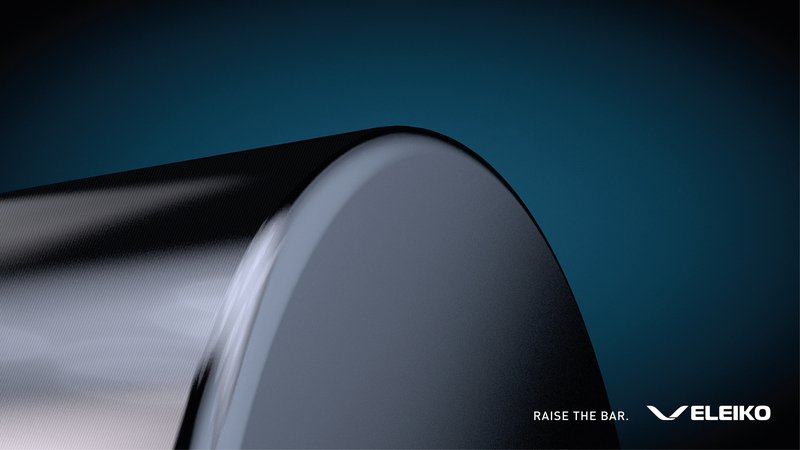 One of the first three images of the new Eleiko bar. What’s the difference between the new bar and the old bar? I would point to three things that are important when trying to design the best possible weightlifting bar. One is the steel. You want to find the perfect balance between strength, durability, and flexibility. We have a proprietary Swedish steel we use that we’ve been using for quite some years and has been developed over decades, and now we’ve been able to improve that process further with changes and improvements in the hardening process and also in the surface treatment. The second thing that’s important of course is the grip, which goes back to what I said earlier about promoting weightlifting to new groups. Basically, I would say the current Eleiko bars are very firm and have a very professional grip and are for professional experienced lifters. Now, we have refined the performance bars and XF bars to be better suited for non-professional weighltifters, better for professional athletes in other sports, and better for functional fitness, CrossFit, and the general fitness person. The third is the sleeve construction. This has to do with the rotation of the sleeves, which is the really important thing that makes a really great bar. There are two major changes: one is we’ve introduced a dust-proof seal, which prevents dirt and also moisture from coming inside the sleeve, and it also prevents grease from coming out from the sleeve. These are important things to really ensure the longevity of the bar. The second thing is the change to the construction of the sleeve, and it really has to do with the rotation of the bar during the lift. In the past, our bearings have been applied straight onto the bar itself, but now we’ve introduced an inner ‘race,’ it’s like a ring between the bar and the needle bearings, thereby also increasing the diameter of the needle bearings. There’s a lot of technical stuff going on there, but basically the inner race is really optimized for contact with the needle bearings, and what it does is ensure a much more consistent and better rotation throughout the entire lift at all loads, and also over time. Typically with a bar, it rotates less the more you load. With this new construction we tried to really optimize the rotation and keep it as consistent as possible throughout the load. We’ve tested it, and we’ve really been able to hit a great balance. 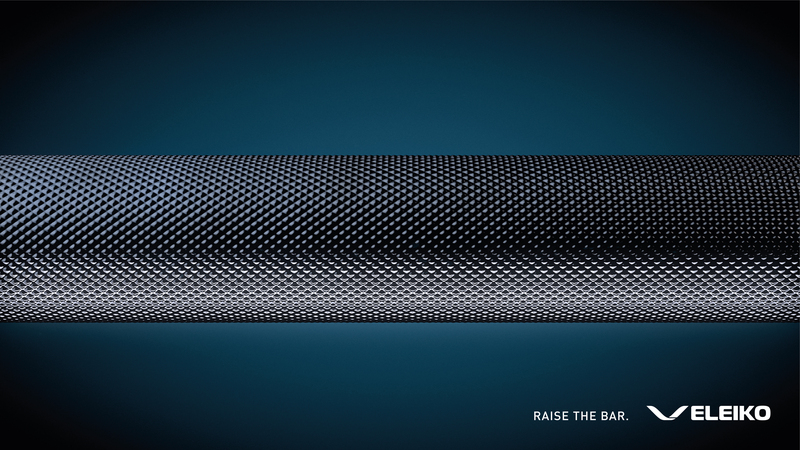 This is the first time we’re really making a big upgrade to all the bars in the range. What we have, and what you want to achieve as well, is for the lifter to feel as one with the bar. They should just be fully connected to the bar, there should be no slippage in the construction, the rotation should not be different at different loads, and you want consistency. And then you can focus on the technique and performance in your movement. When will the bar be available? We’re gonna be shipping this in May. We’re just now finalizing some marketing materials, we’ve been showing it at some exhibitions, like at FIBO 2017 last week in Germany. It should be available to consumers by the end of May, depending on where you live. Speaking of FIBO, we saw the footage of your new sound dampening platform there. That’s part of bringing lifting to new groups of people. A lot of gyms, especially in the big cities, are constrained because sound vibration travels, and they get problems from the neighbors. This drastically reduces the sound so you can now have people lifting in places you couldn’t before. We really just want more people to be lifting. 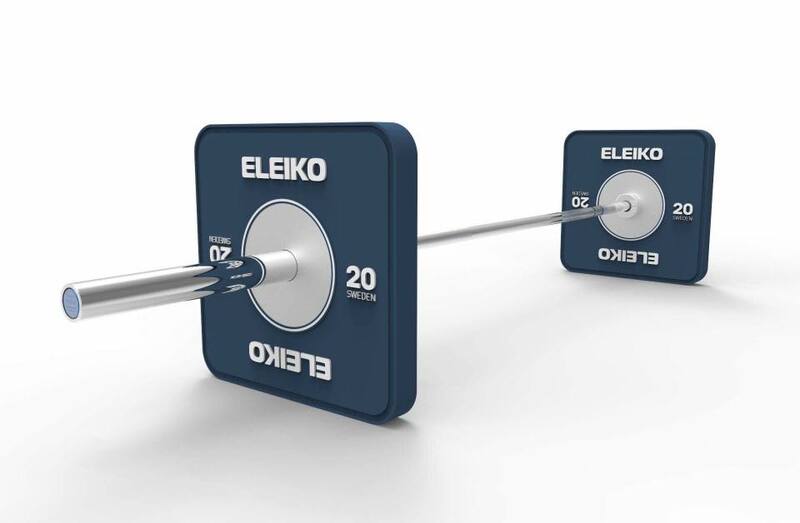 What’s something you wish more strength athletes knew about Eleiko? Something not a lot of people associate with you guys? It’s a good question. I think often we experience that a lot of people don’t really know our full range of products and services.We are associated with professional weightlifting, but we really offer complete solutions when it comes to strength training. We have bars and bumpers for different types of lifters and customers, we have dumbbells and lifters and racks and storage, so we have a much bigger product range than people first think. The other thing I think is that we really put our education programs at the same level as equipment in what we offer. So the equipment is really important, but the education is an important part of what we do and it’s at the same level as the equipment. Cool. Thanks for taking the time to chat, and let us know when your next line of new products is dropping! Featured image courtesy of Eleiko.